Five-bedroom apartments are the top of the Manhattan rental market. Most of the them aren’t apartments at all, rather they’re penthouse that often take up multiple floors and have large expanses of private outdoor space. These apartments are the creme de la creme in the Manhattan real estate world, so if you have the means to rent one of these idyllic spaces, it would be a good idea to jump on that opportunity. Take a look at our database for five-bedroom apartments and see for yourself. As a new creation from architect Costas Kondylis, The Lucerne at 350 East 79th Street features a variety of spacious apartments of all sizes. The rental building comes outfitted with a 55 foot private pool, fitness club, as well as a large rooftop sundeck. The Carl Schurz Park and several dining options lie nearby. 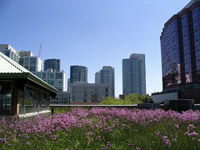 25 Columbus Circle is a modern, luxurious building that features 225 apartments. This dual sky-scraper is located in the heart of the city, offering easy access to museums,shopping and nature. From panoramic views to upscale architecture and appliances, these apartments give a new meaning to luxurious living. The Atelier is more than just a collection of stunning homes, it is an art gallery, a resort, and community as well. Designed by the award-winning architectural firm, Costas Kondylis & Partners, this luxurious Hell's Kitchen building features studio, one-, two- and three-bedroom condominiums and is the tallest residential building with solar power on the roof in the country. The United Nations is a venerable institution and 50 United Nations Plaza is a stunning luxury building that lives up to its name. This modern tower was crafted by global architects Foster + Partners, who have custom-designed every detail of 88 condominiums inside.